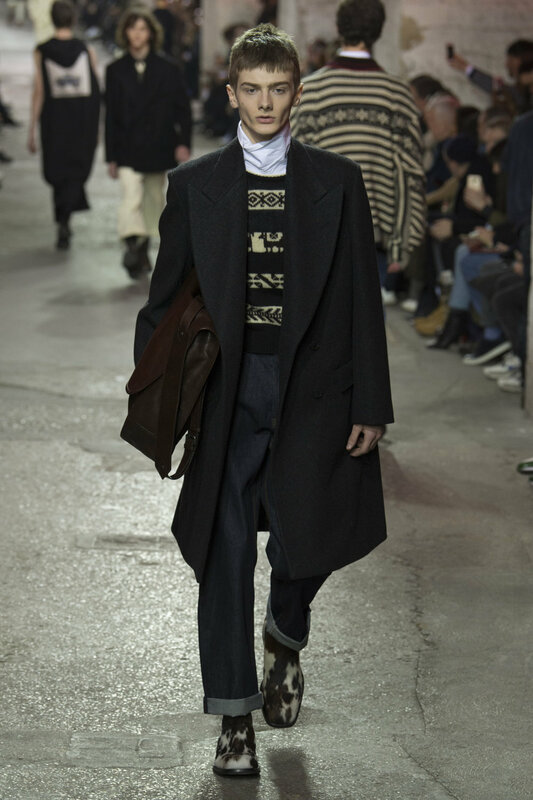 Dries Van Noten triumphs once again with his most recent AW17 collection. 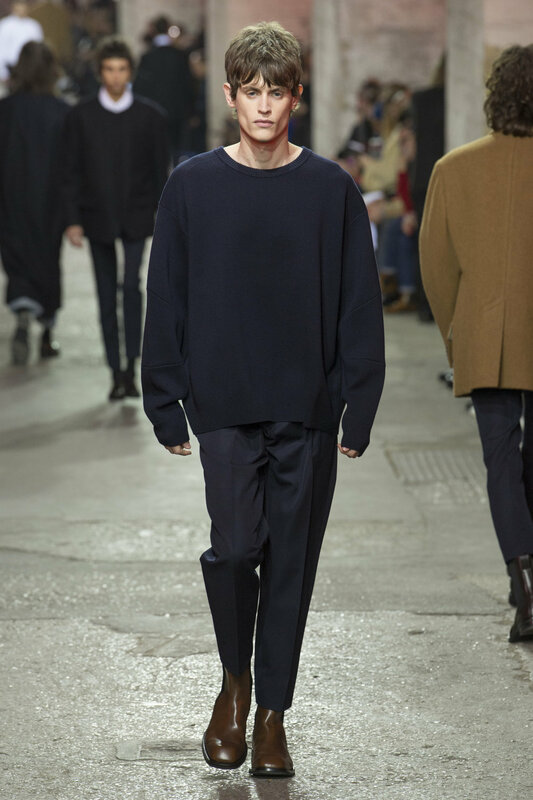 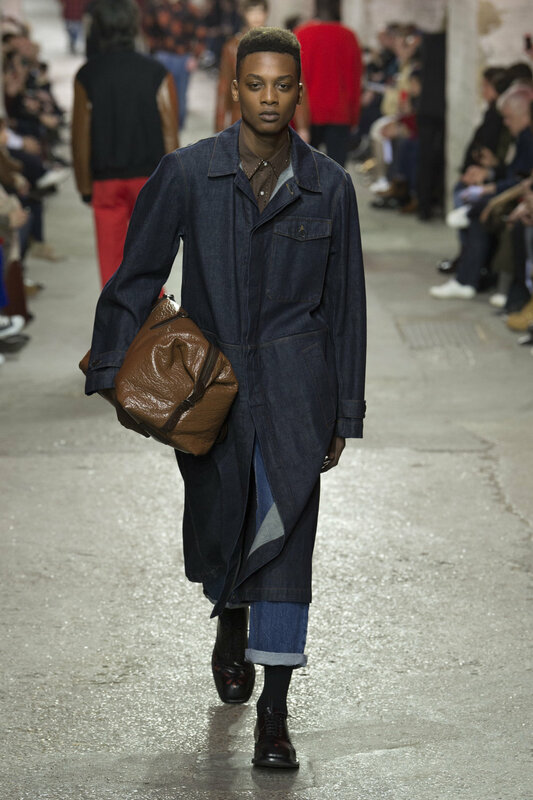 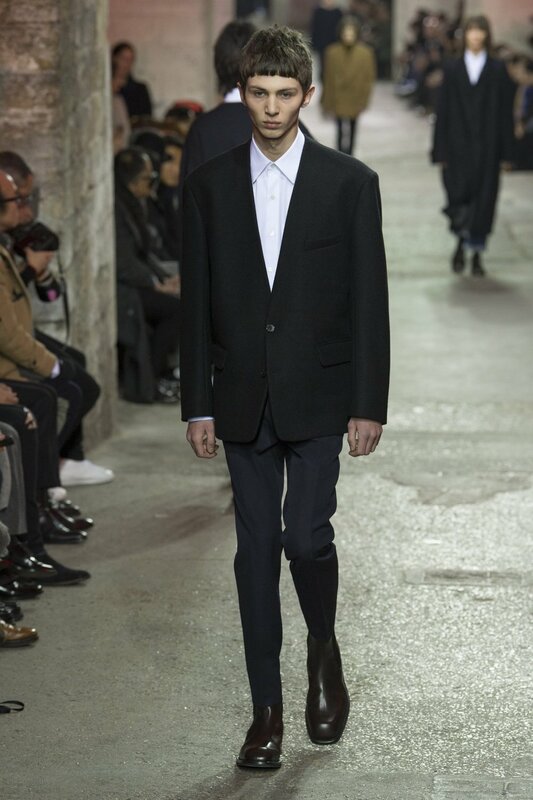 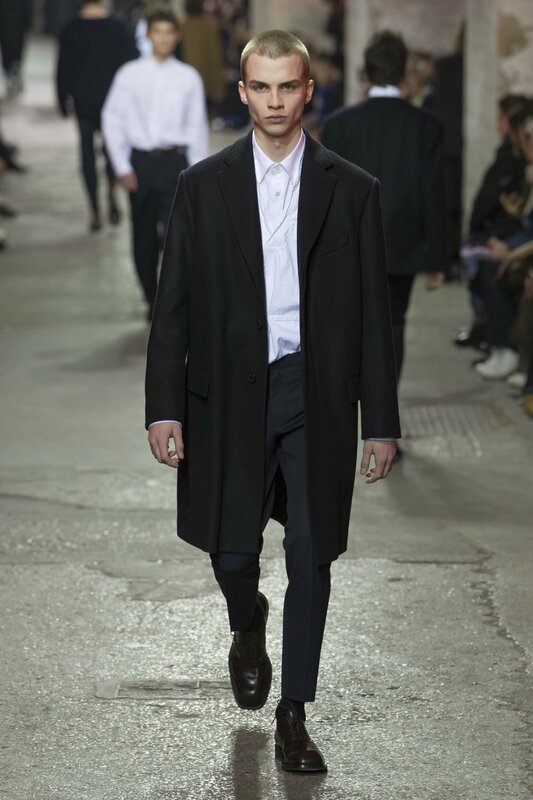 The runway was a sea of slouchy knitwear and relaxed rolled up denim as Van Noten explored his menswear silhouettes through the manipulation of shapes. 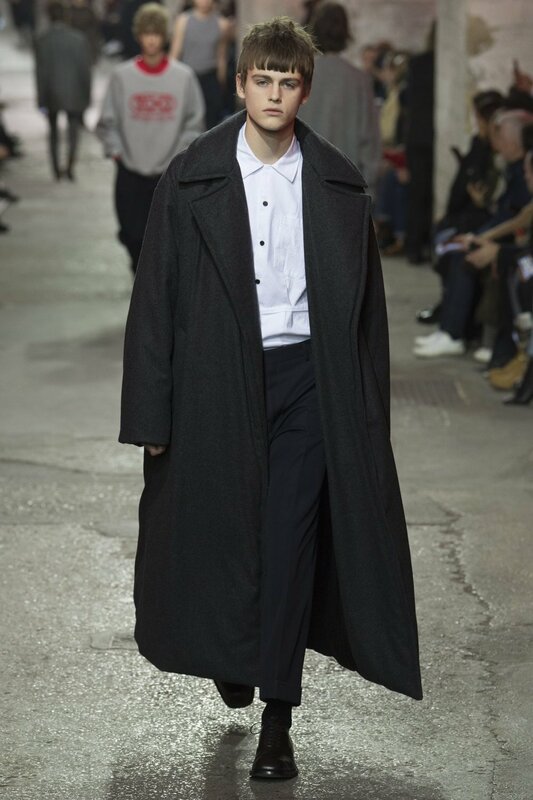 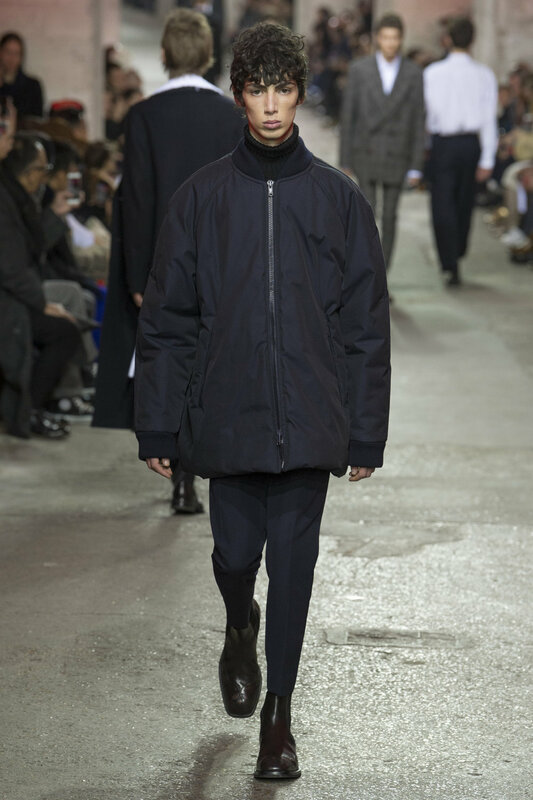 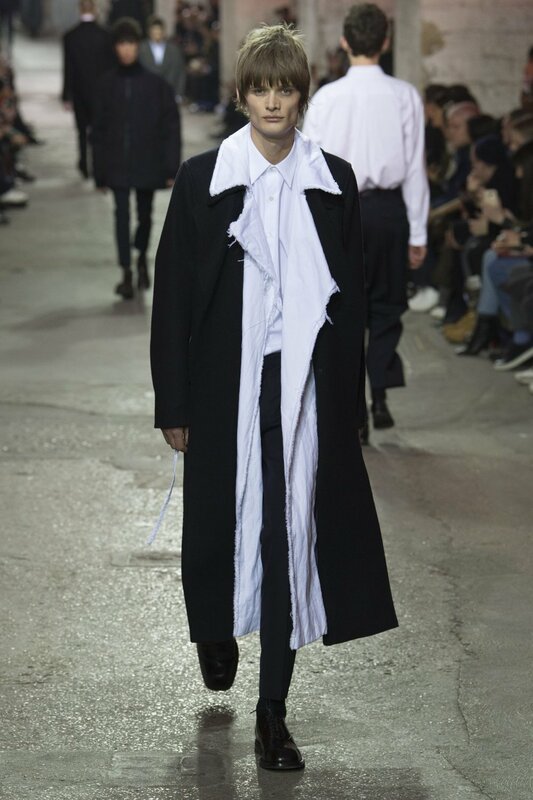 Heavy padded and lengthy coats were paired with tightly fitting trousers, adding a top heavy masculine stature to the outfit outlines. 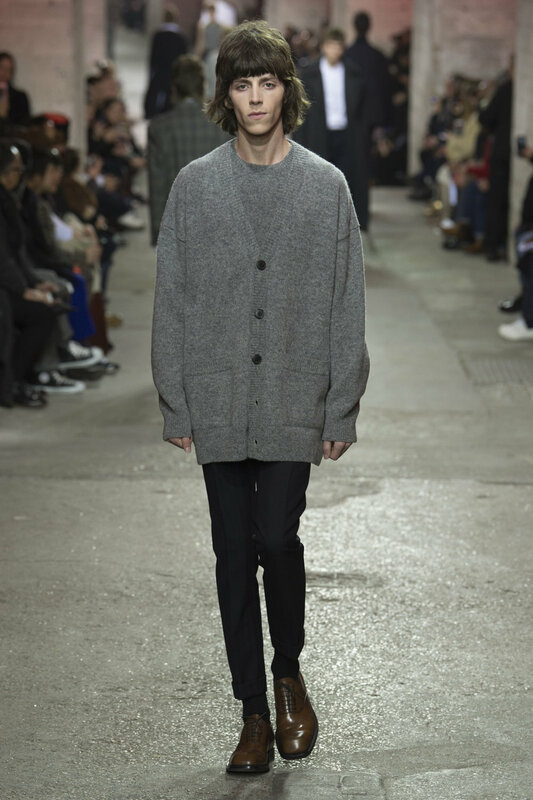 The quilted sweatshirt sleeves hung too long and necklines brushed collarbones in the more relaxed quarters of the designs, whilst patterned shirts were immaculately pressed, buttoned up and tucked into belted jeans or layered under sharp blazers to highlight and intensify the more pristine aspects of the juxtaposing looks. 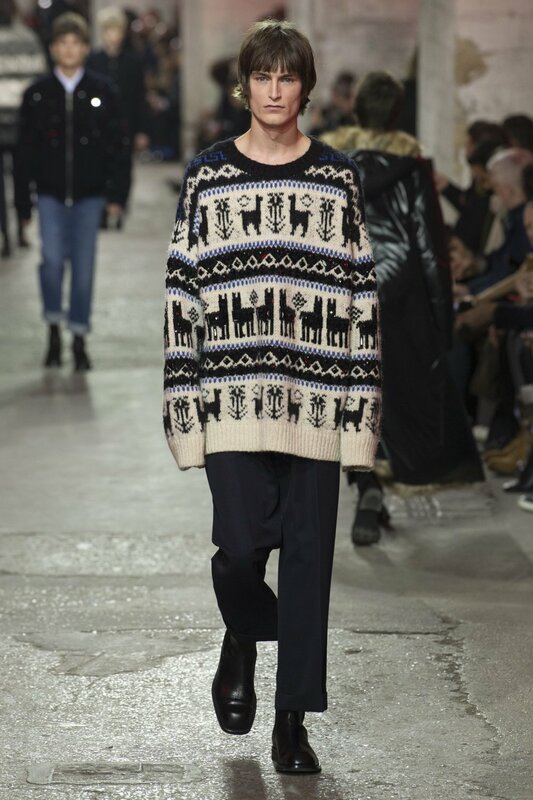 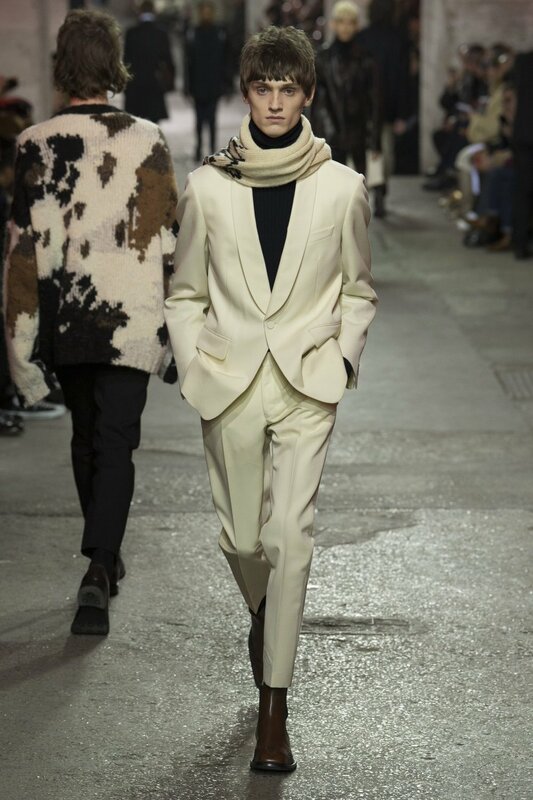 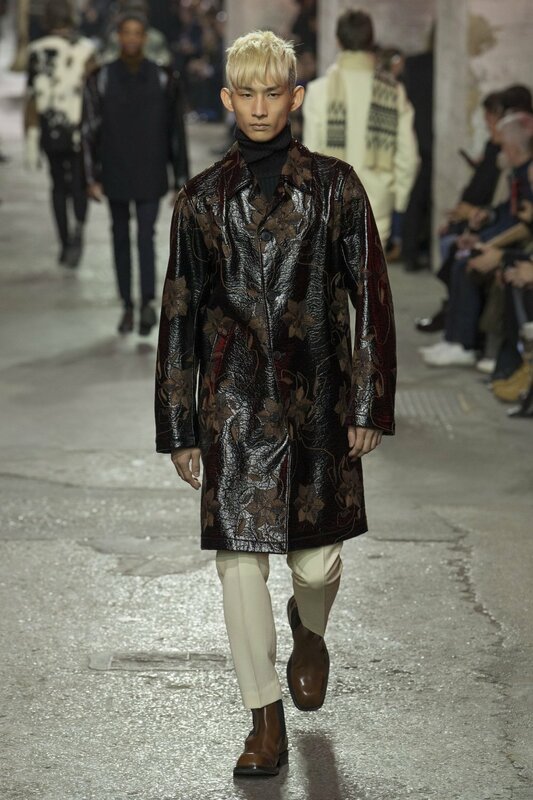 The impenetrable dedication Dries Van Noten holds for it’s intense and powerful signature aesthetic is reinforced by the collections amorous colour palette of navys, browns, blacks and burgundies. 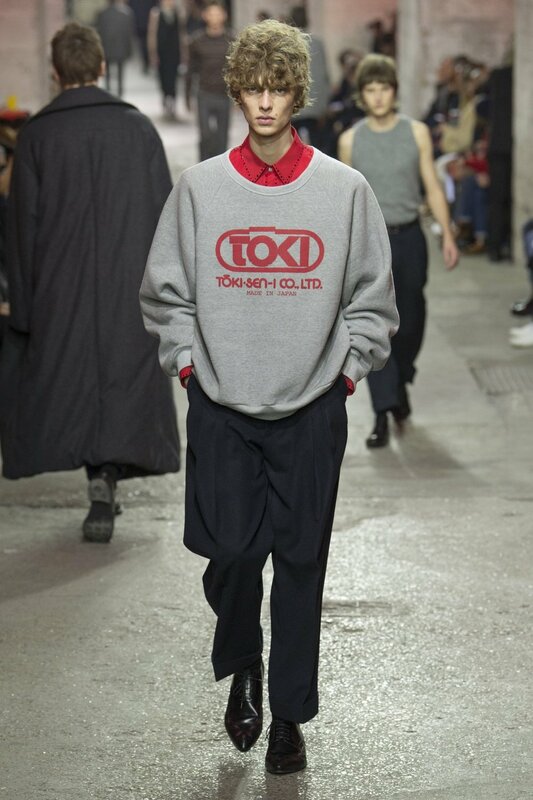 The occasional bright red was mixed in to induce a burst of vibrancy but still allowed each of the colours to remain incredibly complimentary to one another. 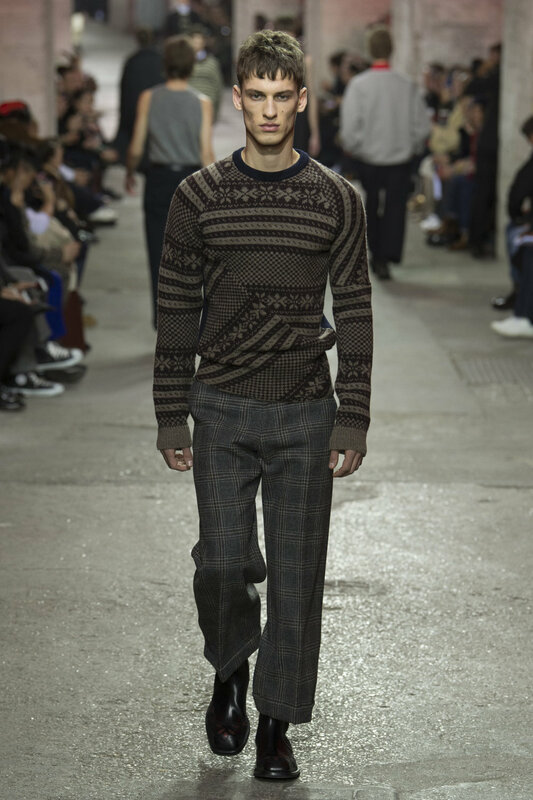 Plaids and obscure yet endearing Llama patterns worked their way into the collection, appearing on knitwear, loose trousers and long length coats. 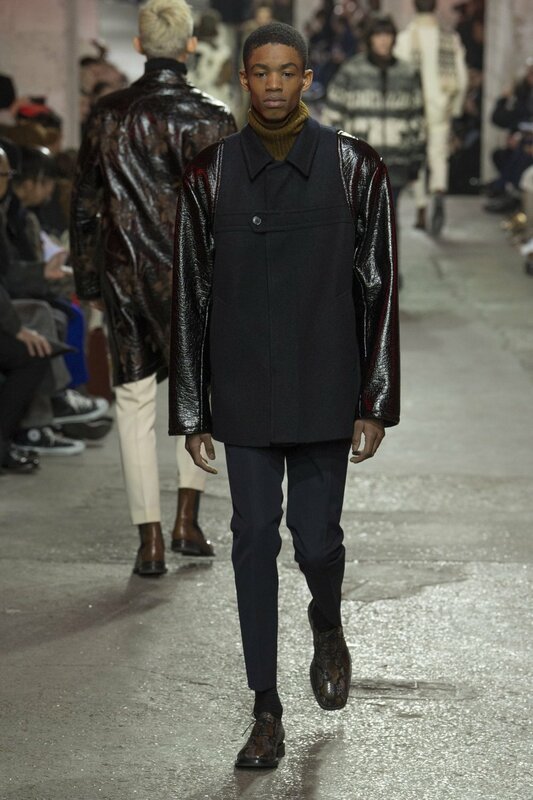 Accompanied by a variety of textures such as latex, distressed leathers and frayed hessian to create a multi dimensional depth to the otherwise sculptress cuts of the collection. 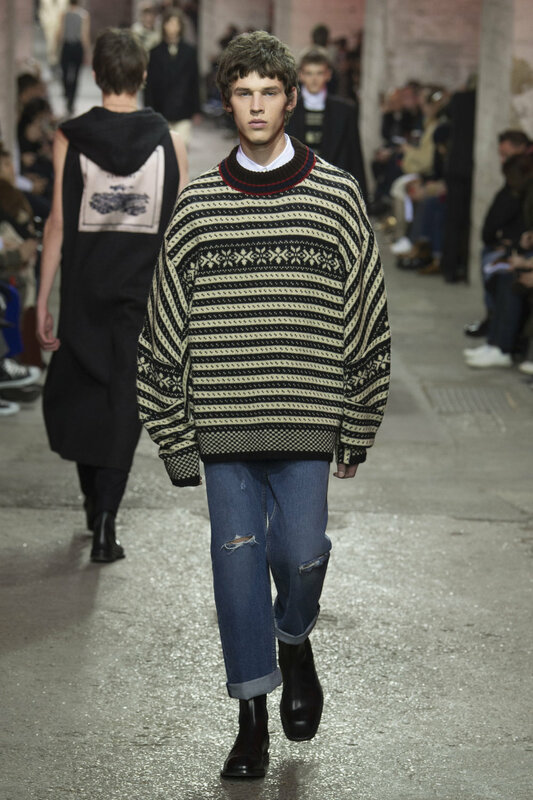 Although considered a “designer for the designers” Dries Van Noten’s AW17 designs managed to construct a multitude of pieces, fitting for every occasion, making this one of his most wearable collections to date. 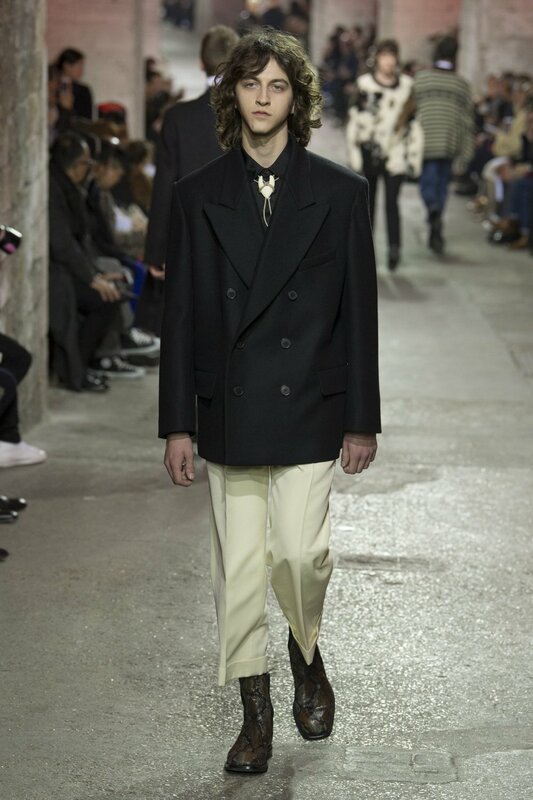 With subtle 70’s and skinhead subculture undertones, Dries Van Noten has resurrected and deconstructed traditional menswear, embellishing the suited and booted attitudes of the past with the more fluid outlines of the modern day man.